Shut your Southern drawling trap, Rhett Butler, because I do give a damn. 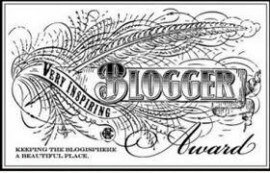 A Mr. pikeknight has been kind enough to nominate me and 14 other bloggers for the Very Inspiring Blogger Award! 5. Nominate 15 other bloggers for this award and link to them. 6. Notify those bloggers of the nomination and the award’s requirements. Thank you, Mr. pikeknight, for the nomination. I feel it would be too histrionic and eye-roll-worthy if I were to break out into a Sally Fields Oscar-winning moment, so I’ll just let a hearty “thank you” suffice. So- here are 7 things about my fascinating self and the awesome bloggers that deserve this award (Note: The words following “fascinating self” in that sentence are not sarcastic. I promise. These bloggers really are awesome and you need to check them out). 1. Starting off with something basic: My favorite book is The Picture of Dorian Gray by [King of the Aesthetes and witty comebacks] Oscar Wilde. Poetic, dark, and ever-so-quotable. 2. Something nostalgic: I sucked on my thumb until I was 7 years old. My parents tried rubbing lemon on my stubby digit as a deterrent. It worked – for a little while. Today, I like eating lemons as if they’re oranges. 3. 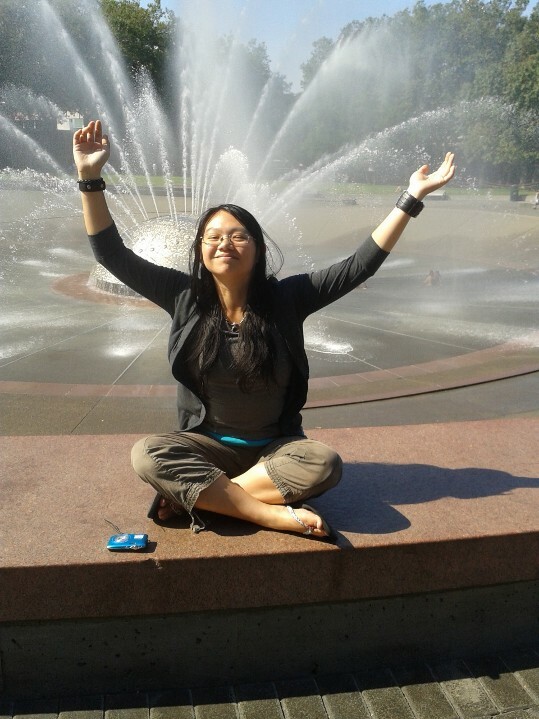 Something wishful: I love to travel. My grandparents took my sister and I on great road trips cross country and out of the country. I’d like to see and explore as much of this wide world as I can before age catches up to me. 4. Something musical: I like music, but I’m terrible with lyrics, titles, and artist names. If you want to know if I’ve heard a song, you’ll have to hum the chorus to me. 5. Something scary: Even though my ancestry (as far as I know) is Chinese, I was born in the U.S. And even though I learned Mandarin before I learned English, my Mandarin is now worse than that of a Chinese 101 student. 6. Something whimsical: My favorite sound in the world is the laughter of little children. (That sounded less creepy in my head). 7. Something I live by: Moderation is key. Logic is good. However, everything in moderation – even moderation. And never let Logic make you forget that you’re a fleshy, feeling human being. Wary. Contrary. And No Virgin Mary! Not a Tourist. An Explorer. So keep blogging, reading, commenting – and have a happy holidays, folks!